This is a post about fish. Fresh fish. The fish of my childhood. I know I was supposed to cook sausage today to go with my colcannon, but I forgot we were getting whole bronzini from Friends and Farms. 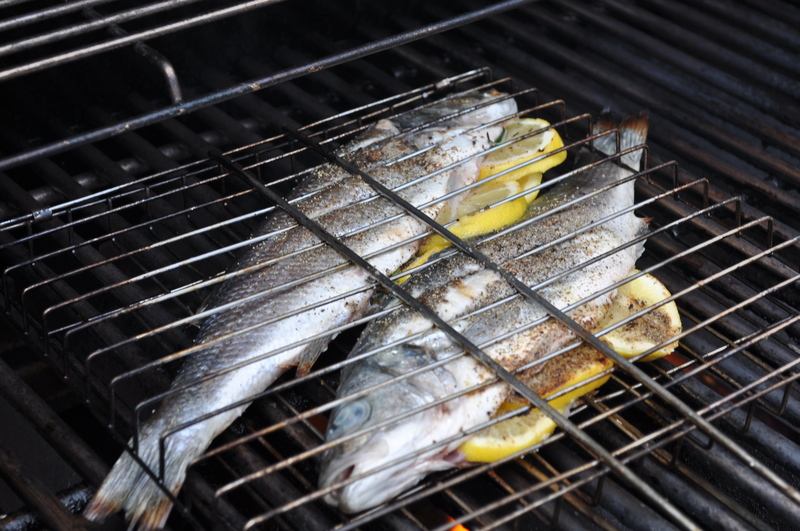 And when you get fresh whole fish, you grill them immediately. 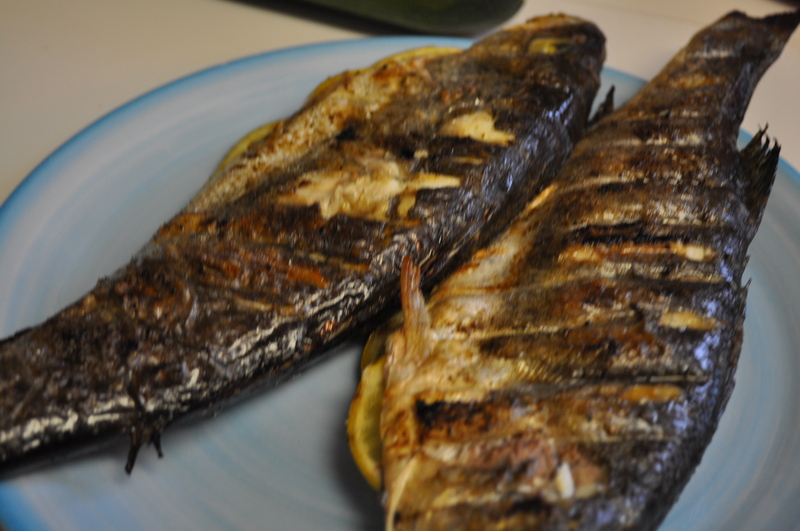 What is bronzini? Or branzino? Or bronzino? A European sea bass, a good alternative on the Monterey Aquarium Seafood Watch List. 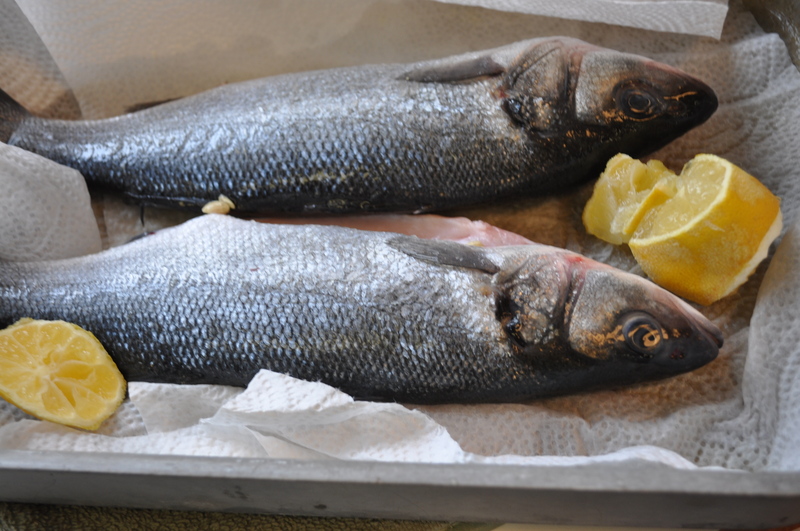 This week, two whole bronzini were in our basket. Not for the squeamish. Whole fish is an adventure and a real pleasure, when grilled to perfection. Falling off the bone. Tender, juicy, with crispy skin. Simply prepared. Inside. Salt, pepper, thyme, rosemary, lemon and parsley. Grilled at a roaring hot temperature. . Served with a Sauvignon blanc, and that colcannon. 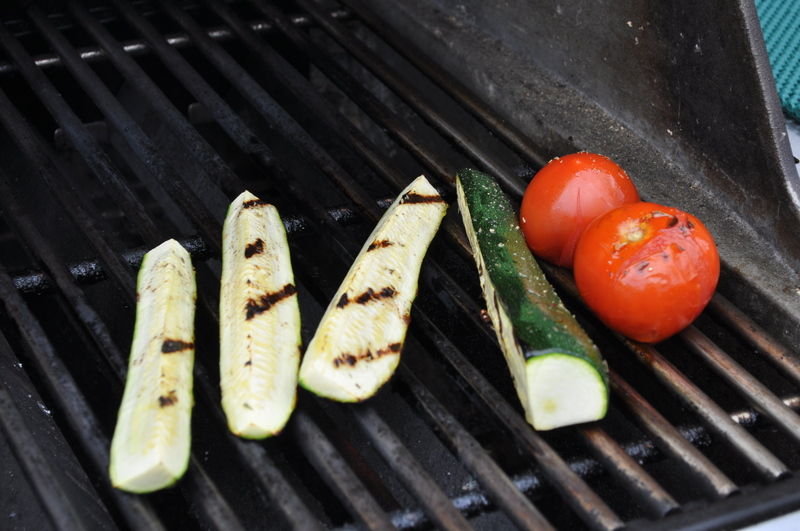 Plus, a simple grill of a zucchini and a couple of Campari tomatoes. They were basted with a Balsamic vinaigrette. Our fresh seafood comes every other week from Reliant Seafood in Jessup. Just behind the retail/wholesale supplier at Wild Seafood, where many of us go for crabs, shrimp and other delectable fish. Friends and Farms uses Reliant to supply them daily with incredibly fresh seafood. No smell. No slime. Absolutely some of the best fish we have ever had, other than the rainbow trout I caught decades ago in the southwest. Nothing like really fresh fish. Oh, and the colcannon was excellent, as well. Posted in Food, Friends and Farms, Local Businesses, Locavore, Real Food, Winter Eat Local and tagged Food, foodie, Howard County, local businesses, Locavore, real food. Bookmark the permalink.